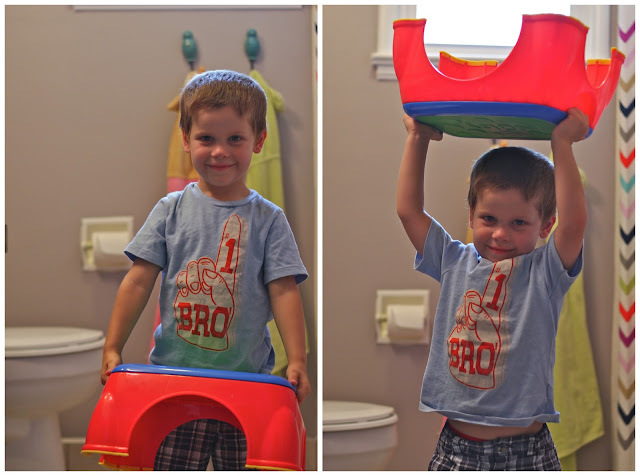 I have to say, the Nuby step-up stool has quickly become one of the most used toddler products in my home. It mostly stays in the bathroom and is used for turning on the light, going to the bathroom and washing hands. It's so light that both Connor and Isla can pick it up and take it where they need it...though sometimes this works to my disadvantage! With grippy surface not only on all the feet, but on the top of the stool as well, it makes it amazing for kids to use. This bad boy has been used a gillion times in our house already and not once has it slid out from under the little person (or mama) using it. Also, it is easy to clean. And we would know given it has taken a direct hit from some well, uh, pee a couple times now. Cleans right off, no fuss. Here's the crazy part, this stool is rated for up to 800 pounds...yes, you did read that correctly. So it is certainly able to handle more than one set of feet at a time. 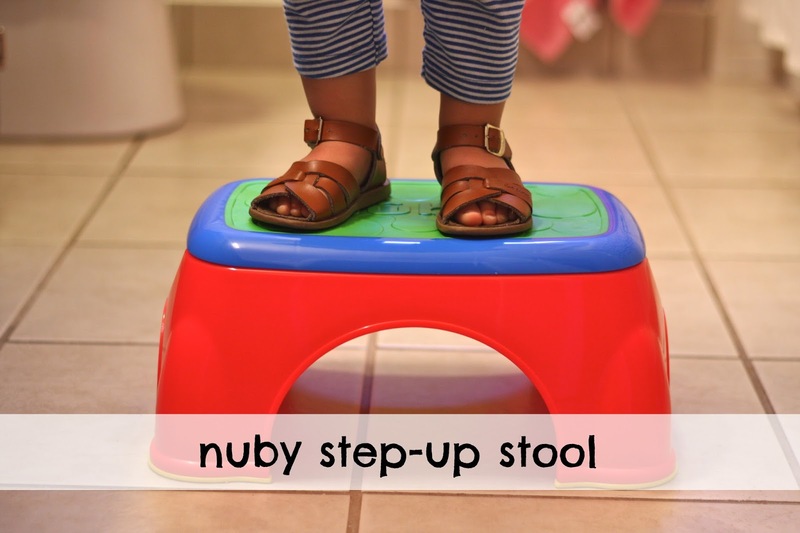 The Nuby step-up stool is available for purchase at BuyBabyDirect, echildstore.com, and Kid's Land. THe photo of their shoes both on the stool is sooo cute!!! and CRAZY it can hold 800 lbs!